Most of our clients in Jacksonville hear the words “Florida Asset Protection Trust” and feel this is something that only the wealthy need. This fear is a common misconception as asset protection is as important, if not more so, for those with moderate wealth because asset protection provides financial security no matter how much you are worth. A Florida Asset Protection Trust has made asset protection for state residents attainable and has become one of the top estate-planning tools. This asset protection trust is known more formally as an iPug™ trust. The protection trust one of the best ways to protect assets in Florida from future creditors and provides many other benefits to our Jacksonville and Ponte Vedra clients such as Medicaid eligibility, asset protection, tax benefits, and the flexibility of a revocable trust. Many of the best estate-planning attorneys around the country structure use these trusts to provide eligibility for Medicaid. Our Trust can be designed for those who are concerned with Medicaid and those who are not. To qualify for Medicaid, an applicant must pass an Income Test and an Asset Test. The applicant will not qualify for this care if the applicant has too much income or too many assets. Our Florida Asset Protection Trust is structured to reclassify the applicant’s assets to help qualify for Medicaid. Further, any funds placed in the trust can be used by the beneficiaries to provide a higher quality of life during retirement. The protected assets are controlled by the creators of the trust so there is no loss of control like with other planning techniques. The beneficiaries can then use the proceeds to provide a higher level of care or pay expenses. By planning now, our clients can have confidence that they can live the rest of their lives in an acceptable manner. The iPug™Protection Trust is very flexible and can be customized to offer differing levels of asset protection. It can be designed to protect assets from future liability caused by car accidents or even liability from personal or professional negligence. This type of trust can even protect inherited IRAs from creditor’s claims unlike using a beneficiary designation to distribute retirement funds. Because this trust is not part of an elective share, it even protects assets from any elective share claims by a future spouse or your surviving spouse's future spouse. An elective share is the right of a surviving spouse to claim a portion of the estate, which is known as the elective share. 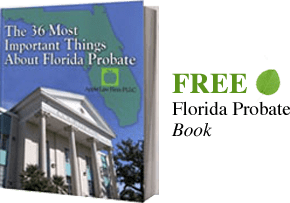 In Florida, the elective share amount is equal to 30% of the deceased spouse’s assets as determined by state law, and a spouse can elect to receive this amount if he or she inherits a value less than the elective share amount. Assets placed in the iPug™ Protection Trust are not subject to the elective share. This type of trust also offers huge tax benefits because the IRS does not tax this trust like the traditional irrevocable trust. A traditional irrevocable trust requires a separate EIN number for tax reporting purposes. An EIN is a unique identification assigned by the Internal Revenue Service to tax business entities. The government does not tax the Florida Asset Protection Trust as an irrevocable trust. This trust is a disregarded entity for tax purposes and uses the settlor’s social security number. The government taxes trust assets as if you owned them instead of the higher rate for traditional irrevocable trusts, which can provide a huge tax savings. The Protection Trust is also structured so that trust assets do not move from the grantor’s estate. This benefit is significant because it allows the trust beneficiaries to receive a full step-up in basis upon the settlor’s death. A step up in basis is when the IRS readjusts the cost of an asset for tax purposes. The basis of an asset is usually what a person pays for the asset initially. The government charges a capital gains tax on the difference between the price a person originally pays for the asset and what the asset sells for today. For instance, say you buy shares of a company 30 years ago for $10 a share and sell that same stock today at $80 a share. The $70 difference would be subject to a capital gains tax that can be quite expensive. If you placed these same shares in the Florida Asset Protection Trust, then the beneficiaries would receive the step-up in basis. So if the owner puts the same shares in the trust and died today, his or her beneficiaries would receive the shares at the new basis of $80. If they sold the shares a year from now when they are worth $90, they would only pay a tax on the $10 difference between the basis and the current value, rather than paying the $80 difference of the original value from 30 years ago. This can quickly add up to huge savings from avoiding these costly taxes. The Florida Asset Protection Trust is an irrevocable trust. Irrevocable trusts can seem intimidating at first because with a traditional irrevocable trust the settlor loses direct control over the trust assets. This is why the Florida Asset Protection Trust has been designed to let the settlor keep complete control over the trust. The iPug™ Protection Trust also permits the settlor, or the grantor, of the trust to change the beneficiary at any time without risking the loss of the assets to creditors. The trust can also contain provisions known as trust protectors. This allows the trust to be modified if the federal or state law changes in the future. In a traditional irrevocable trust, the trust cannot change after the first spouse passes, but The Florida Asset Protection Trust allows changes to be made even after the death of the spouse. This is also a discretionary trust, which means that the trustee is never required to distribute income or principal to a beneficiary. The settlor of the trust is often made the trustee and retains the sole discretion in his or her fiduciary duty to distribute trust assets.